When Jean Dujardin announced Jennifer Lawrence as Best Actress at this year’s Academy Awards, a collective cheer arose from Caroline Scheufele’s table at the Elton John AIDS Foundation viewing party. Lawrence’s win marked a milestone for Scheufele: for the 10th consecutive year, her Geneva-based jewelry company, Chopard, had dressed one of the evening’s top winners. Some say Scheufele has the ‘golden touch’, while others refer to her as a lucky charm. For her part, the 51-year-old insists that luck has nothing to do with it. It is a good, old-fashioned, unadulterated love of film that prompts her to offer up her high-end baubles for stars to borrow on the red carpet. 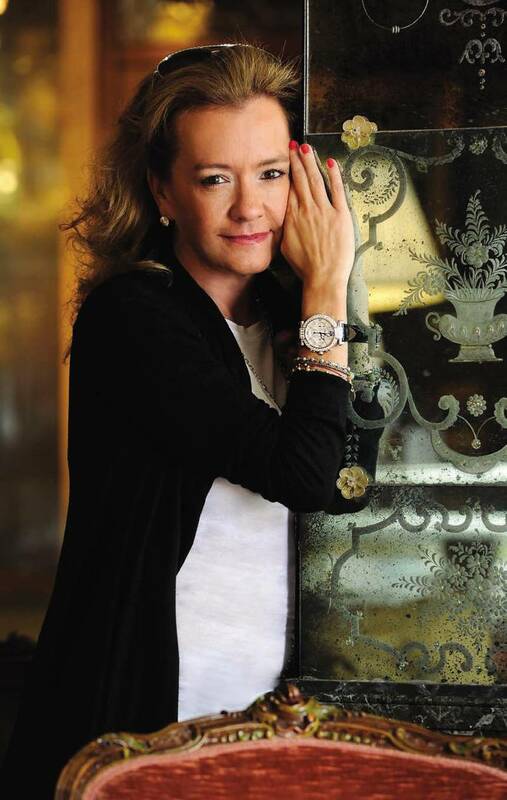 A true passion for cinema has caused Scheufele, who runs her family’s Swiss luxury company along with brother Karl-Friedrich, to create sponsorship opportunities for Chopard at some of the world’s biggest film events. 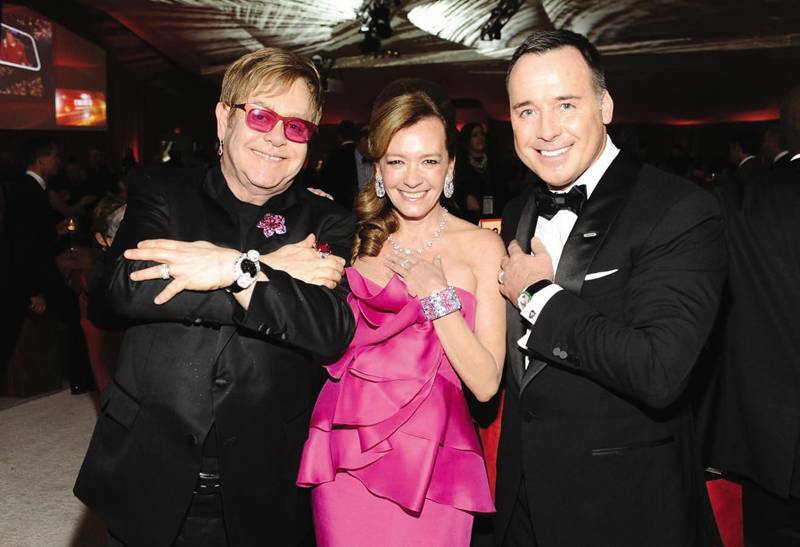 From the Cannes Film Festival to The Weinstein Company’s Golden Globes gala to the most recent EJAF party, Chopard is there. But, unlike the ease with which she predicts winners or dresses the world’s most fabulous fashionistas, putting together Elton’s annual bash is hard work. Work hard, play hard may not be her motto, but it might as well be. Running such a successful empire doesn’t always allow Scheufele to indulge as much as she likes. “It’s a big event, and like any other event, requires a lot of planning. Elton is a person who is mad about details. He checks everything, including the flowers on the table. He doesn’t leave anything as a surprise,” Scheufele confides. Chopard moved shop from its Rodeo Drive location to a new home in the South Coast Plaza late last year, but Scheufele believes the brand may move back to Beverly Hills one day. Though in one case, this may not exactly be true. Chopard moved shop from its Rodeo Drive location to a new home in the South Coast Plaza late last year, but Scheufele believes the brand may move back to Beverly Hills one day.